Pre-orders of the Samsung Galaxy S7/S7 edge have already shipped, and the smartphones are also available for immediate purchase now, but the LG G5 is still nowhere to be found. A step in the right direction will be made on March 18, in the US at least, when BestBuy will start accepting pre-orders. 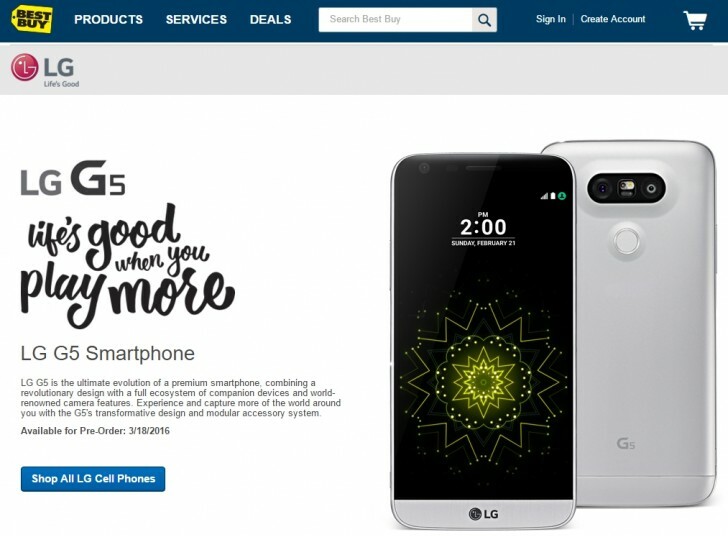 In all fairness, the date and retailer have been known since day 1, but now a landing page has cropped up on BestBuy’s website confirming the initial announcement. That said, there’s still no official word on actual availability, but April 8 has been sort of confirmed for the UK and Canada, so the US should be getting it around that time, though rumors of an April 1 launch have been heard. One thing’s for sure, however, the G5 will ship with an extra battery and a charging cradle, to better make use of that modular design. The rest of the G5’s friends you’ll have to buy separately, though.